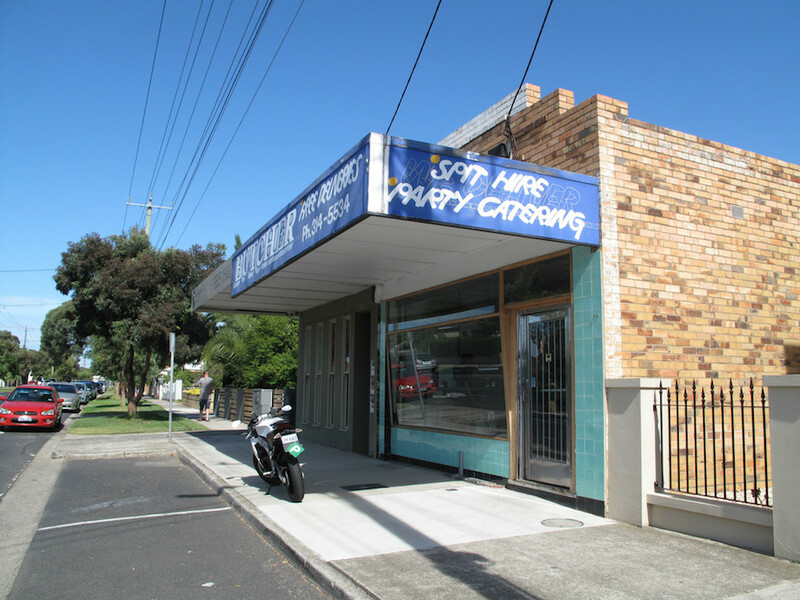 The burned-out shell of Little Saigon Market casts rather a glum metaphorical shadow across Footscray central, so we love it that Small Graces and some of its neighbours are mounting a fightback by bringing life and sunshine to Byron Street and surrounds. 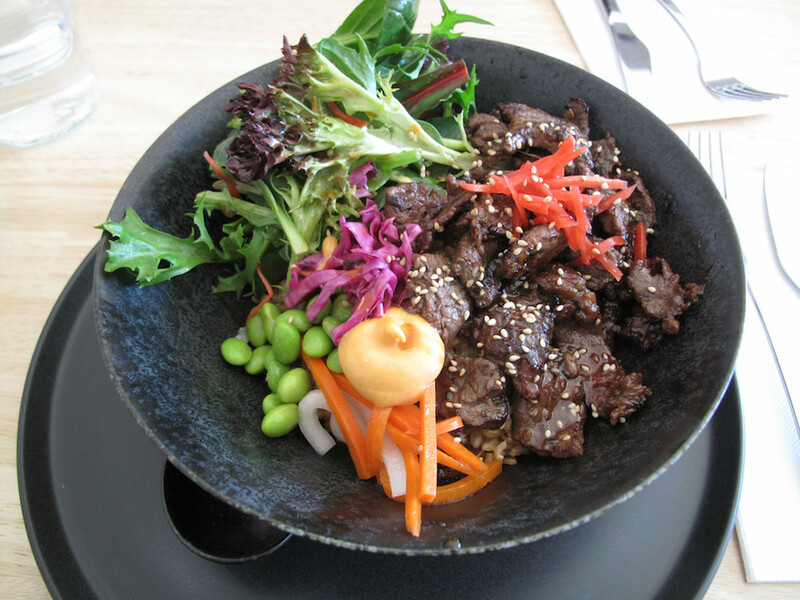 We enjoyed our debut meal there last year and have returned several times since – mainly for salad hits. So we definitely pay attention when informed a dinner service is being launched. Not only that – we are invited to try it out (see full disclosure below). Thus it is with keen anticipation and high expectations that Bennie and I front up for dinner. Here is the brutal CTS call: Our expectations are not met. 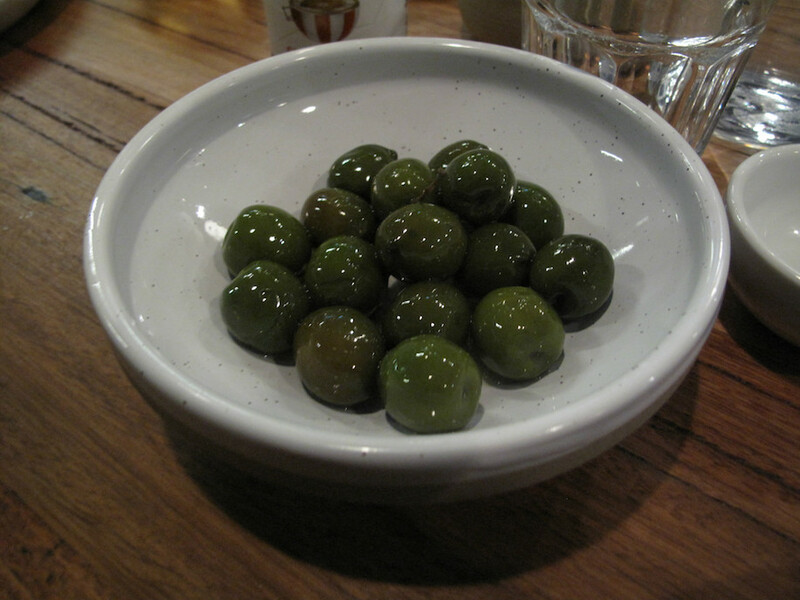 Instead, they are exceeded in grand and delicious style. Just about everything we try from a brilliantly chosen selection from the deep dinner menu (see below) is a righteous hit, with a few provisos noted below. A salad of beets, grapefruit, radicchio, hazelnuts and goats cheese (top photo, $14) is enjoyed by us both, but especially by Salad Boy Bennie. 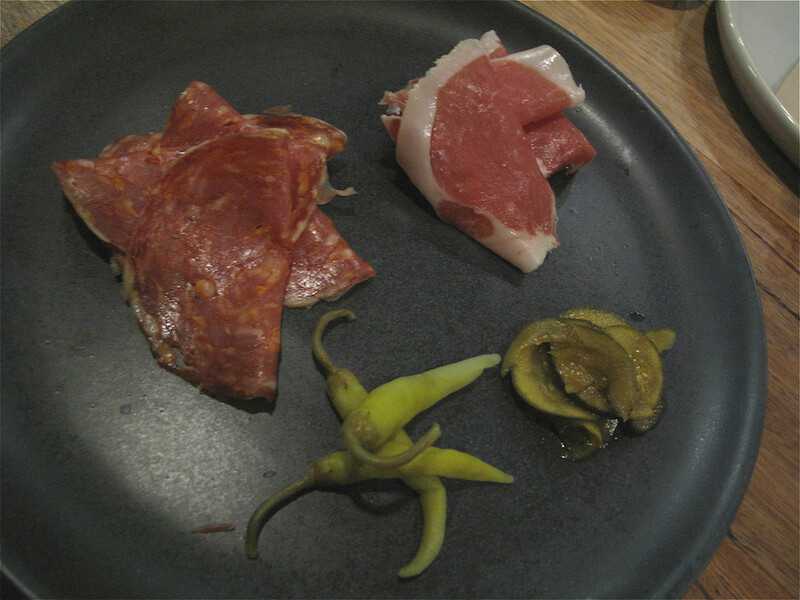 La Hoguera jamon serrano and garlic-fennel salami are wonderful and served with pickles. 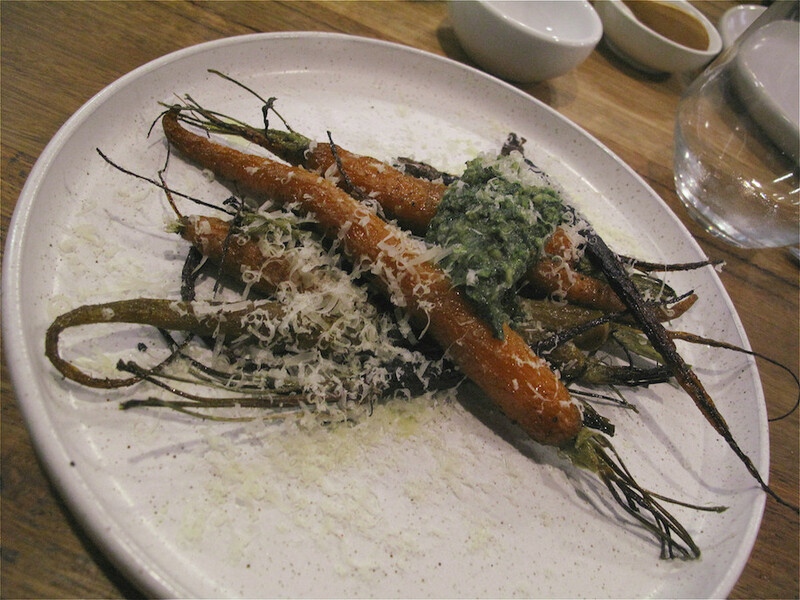 Carrots, salsa of carrot tops, pecorino pepato and seeds ($13) are a sublime veg offering. 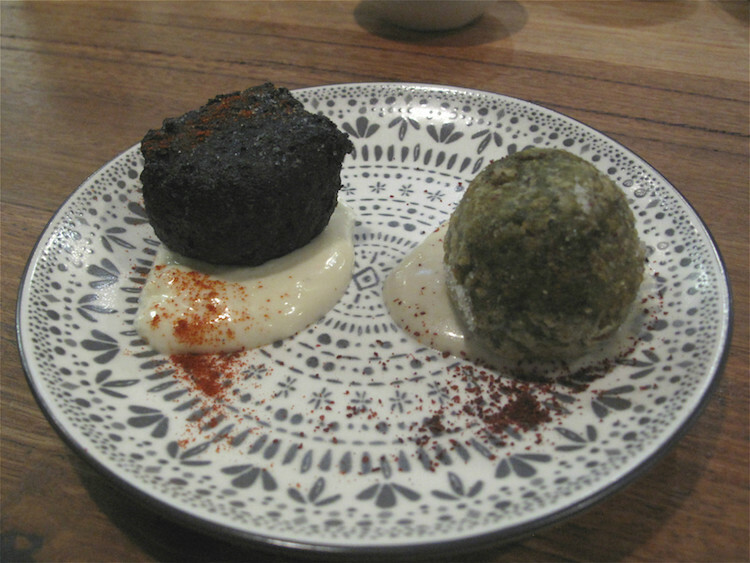 Squid ink croquette with gralic aiolo and sorrel/pea croquette with preserved lemon aioli ($4 each) are, for us, duds. We have no problem with their striking ugiless. But they are too salty – even for us, two lads who had expressed to Small Graces’ Bec our fondness, upon arrival, for salty restaurant food! 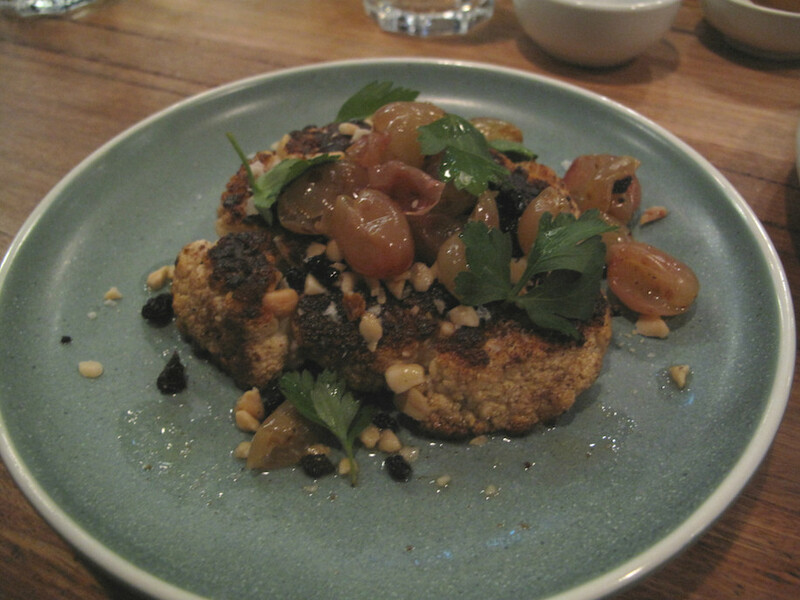 Also somewhat visually unappealing is this dish of cauliflower, currants, fermented grapes and macadamia nuts ($15). But in this case the result is an intriguing winner. This pile of lentils photographs as dull. It’s one of the night’s high sensations. 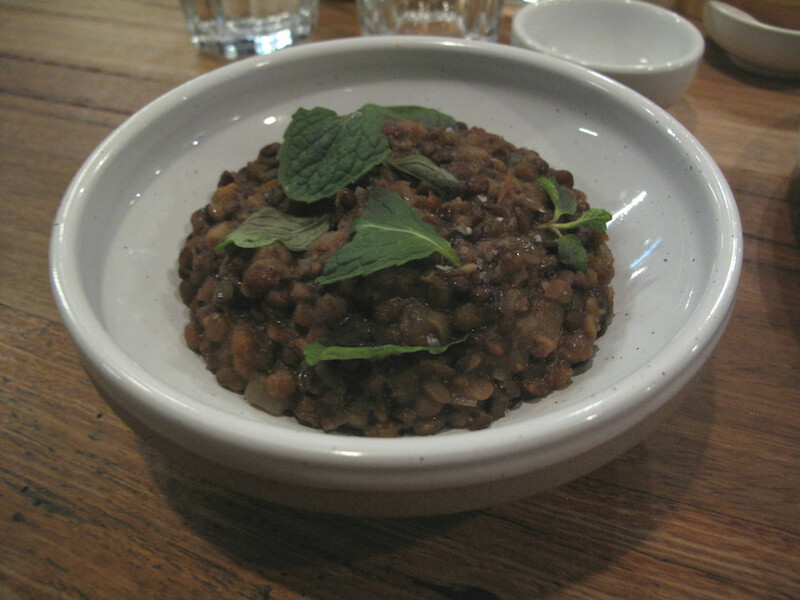 Lentils, quince and mints ($12) are moist, succulent, rather sweet and a tremendous pulse dish the likes of which we’ve never before encountered. And we’ve eaten a LOT of pulses. And the vegetables keep coming. 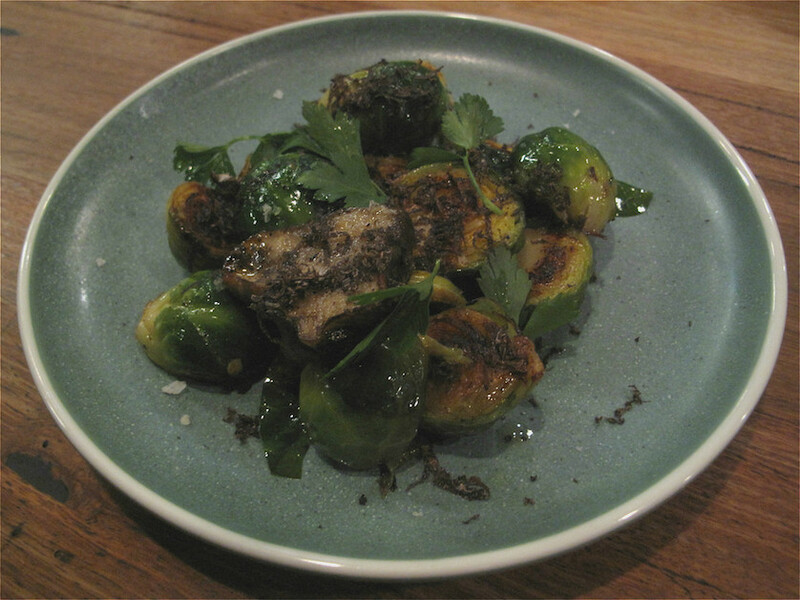 Brussel sprouts, jerusalem artichokes and Manjimup truffle ($15) are al dente and a big hit with Kenny; Bennie, no so much. 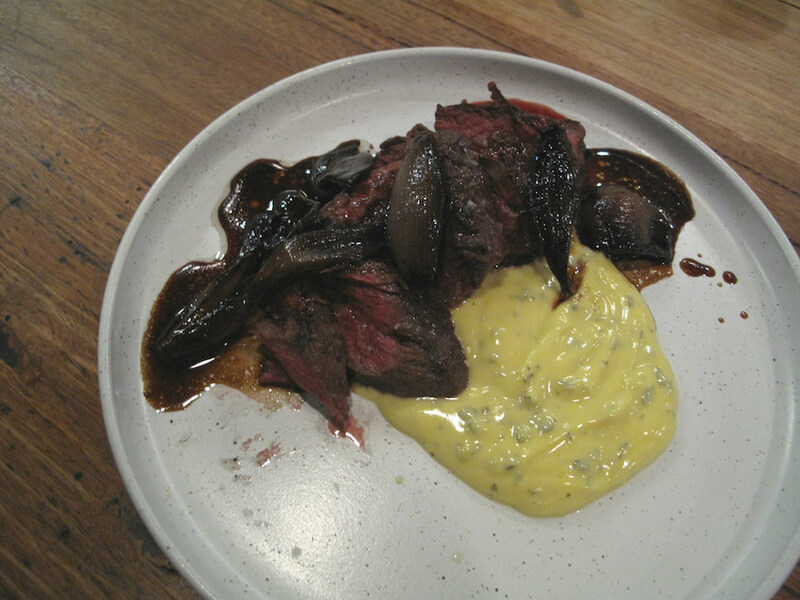 Our evening’s sole outright meat hit comes from hanger steak, burnt onions and bearnaise ($20). 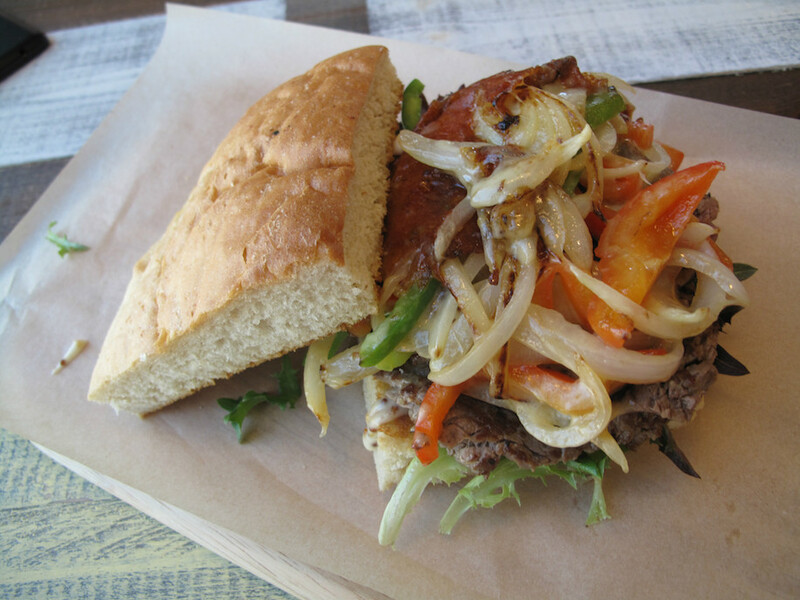 We adore that juicy meat and its onion foil. 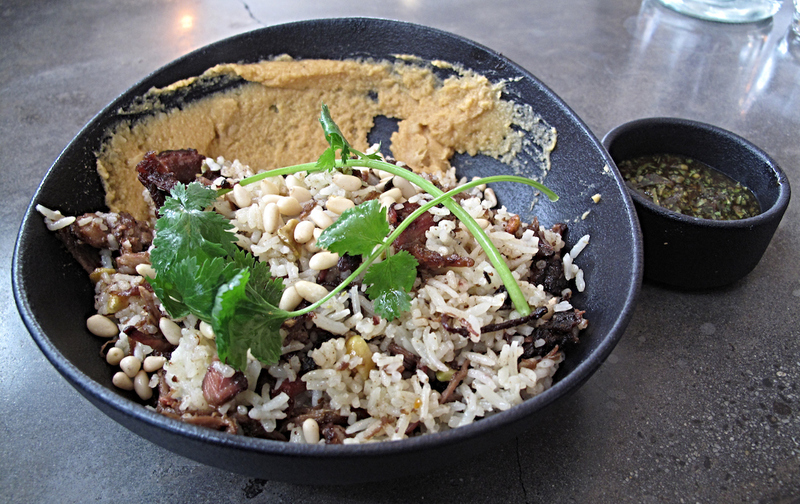 The sauce is good, too – but we consider its richness a bit jarring and unnecessary. There’s a handy list of desserts on the go for dinner here – including fabulous-sounding ricotta gnocchi. 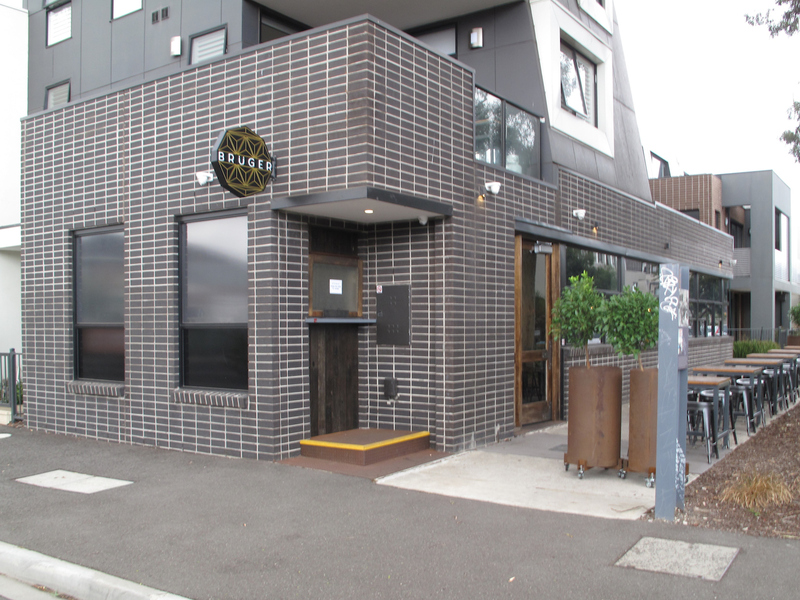 Sadly, they will have to wait another night as the Socceroos and their date with destiny await, so we head for the door. 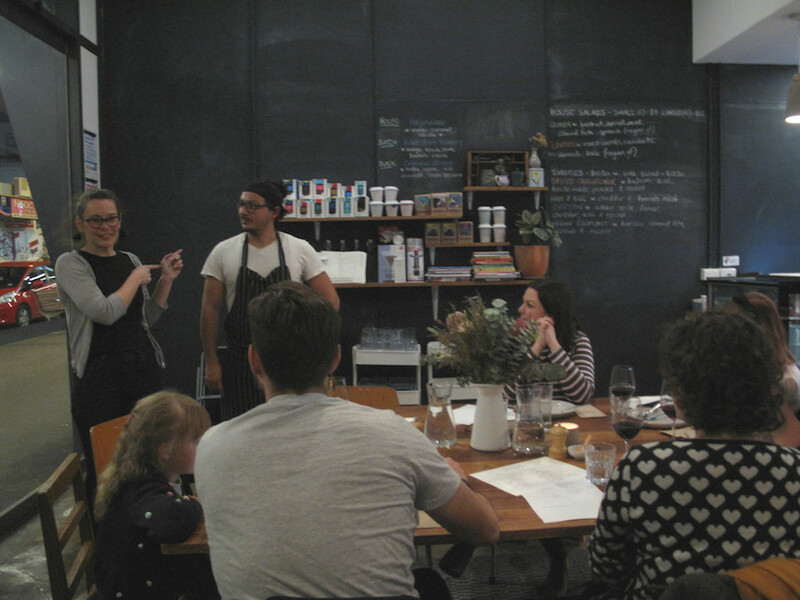 The inner west is blessed to have Small Graces doing its dinner thing. 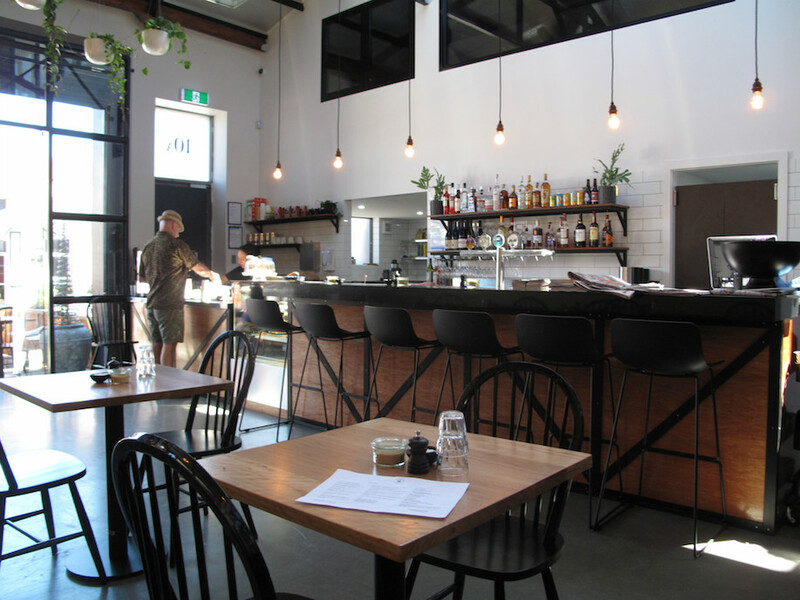 It joins the likes of Jack B. Nimble and Cheeky Chewies Cafe in serving up flash food without vertiginous price tags or stuffiness. 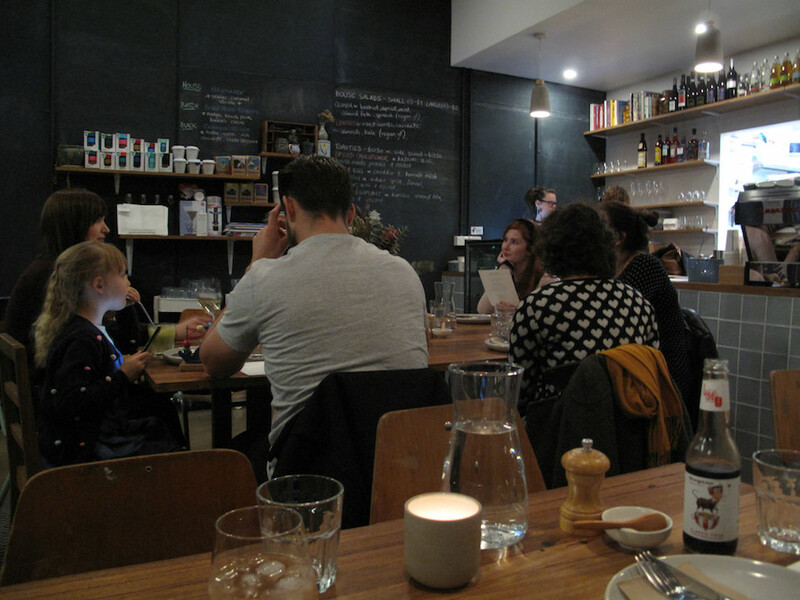 And there’s a heap of dinner-time scope in which vegetarians can frolic. 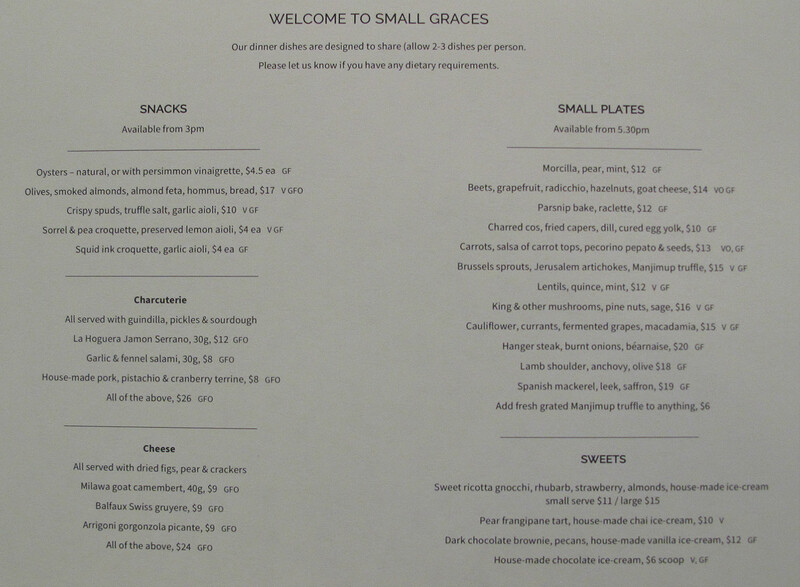 There’s booze on hand at Small Graces, which is now open for dinner Thursdays-Saturdays. CTS thanks Bec, Diego and their crew for taking care of us. 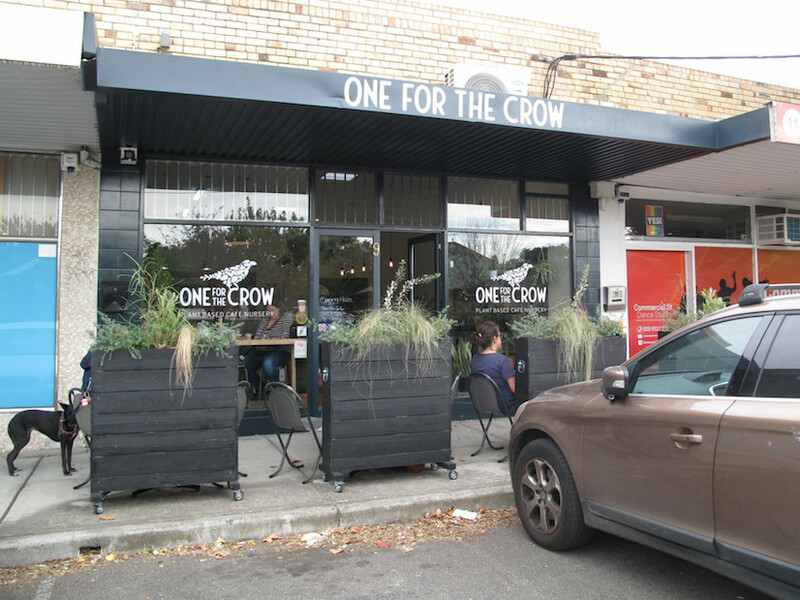 One For The Crow is located in a rather sleepy strip of shops – other than a cafe, there’s dance and martial arts operations and a few others more anonymous. 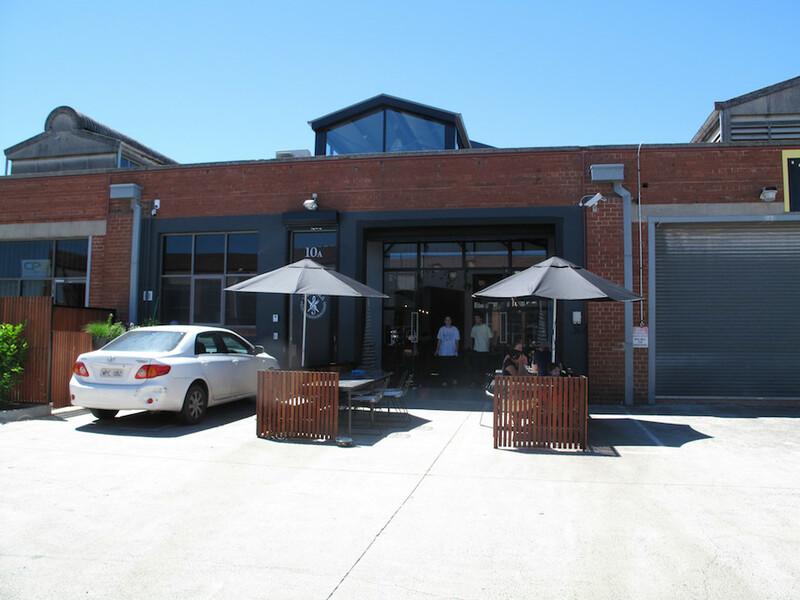 Its neighbourhood – in and around Dobson reserve – is itself rather sleepy. And certainly not known for commercial activity of any kind. 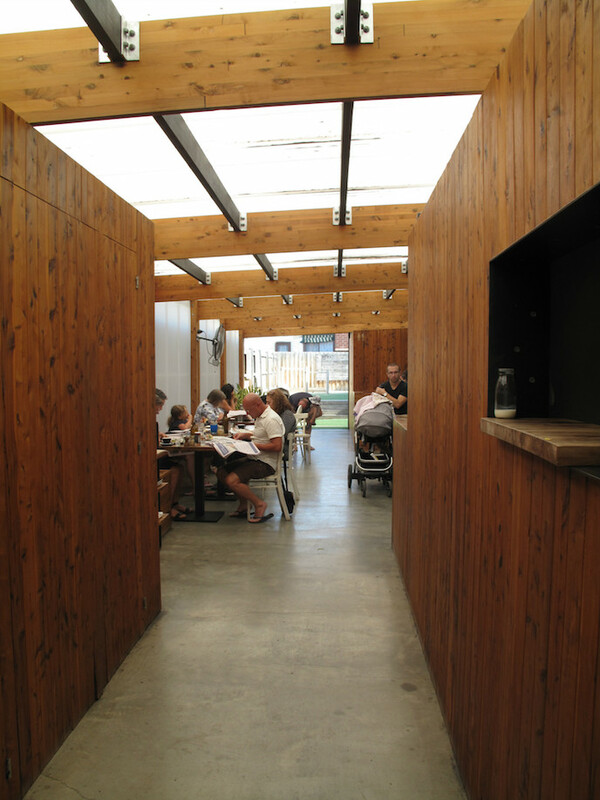 But the west – inner, outer, inbetweener – is all changing so fast, so why not residential Maidstone for a cafe? 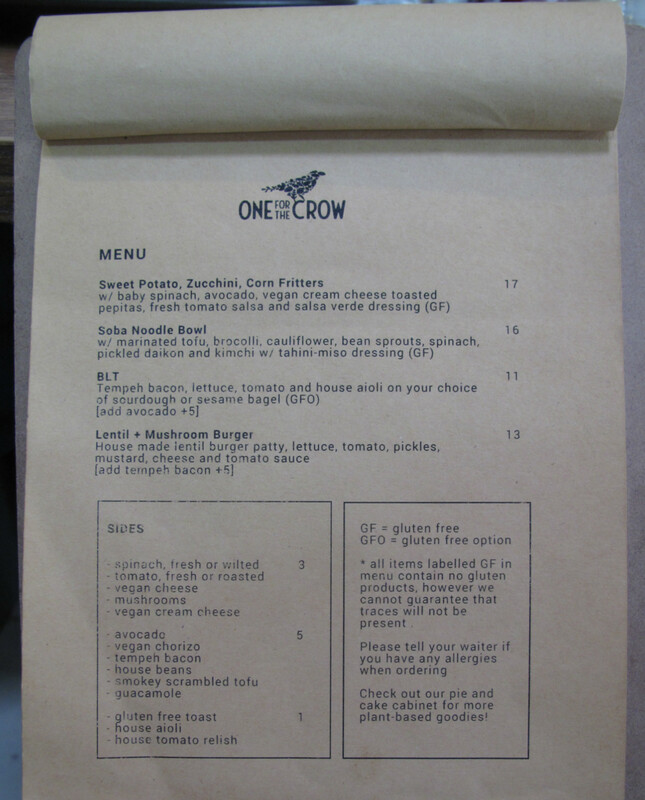 One For The Crow is vegan – though we are very happy to see regular milk available for coffee purposes. 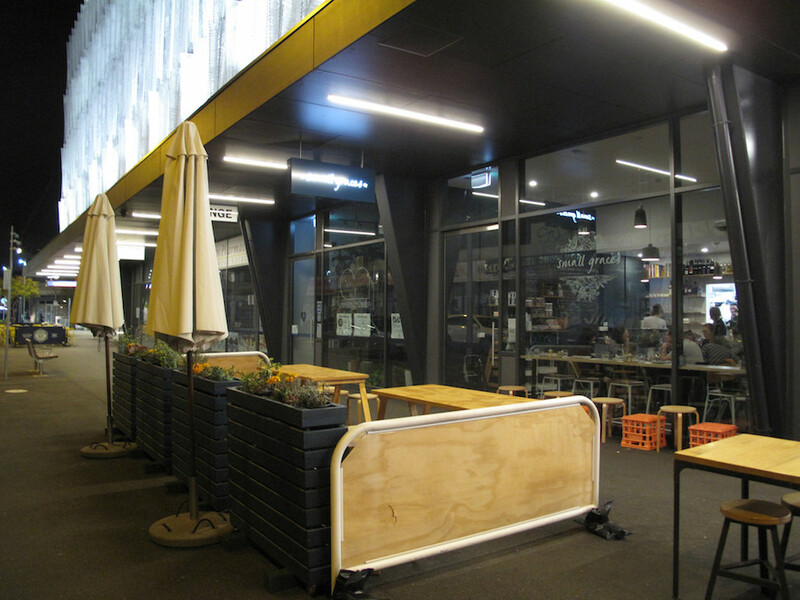 And it is very, very kid-friendly. 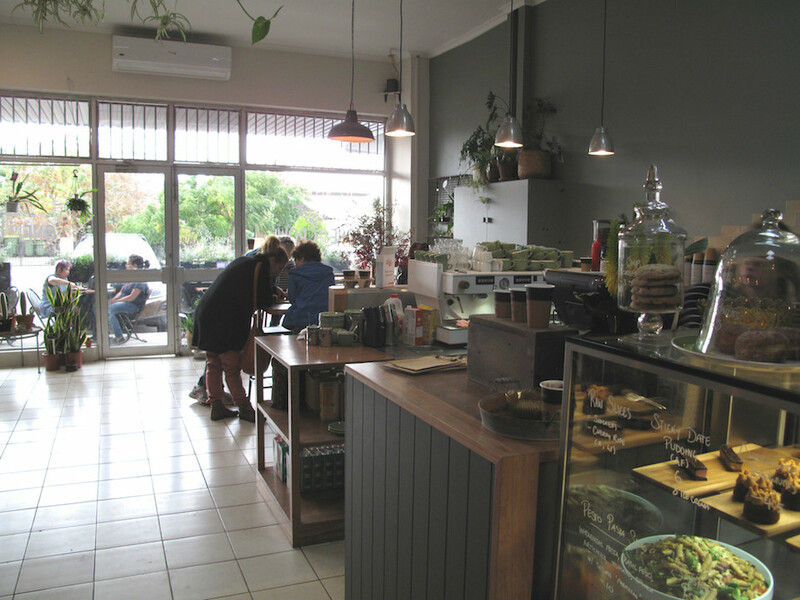 It’s a lovely place, with a modest plant nursery going at the front and a handful of outdoor tables. 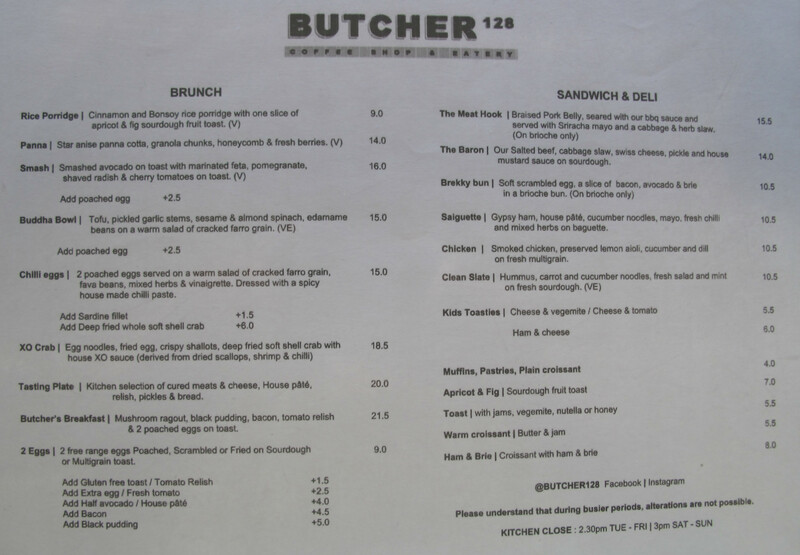 For all its vegan-ness, our menu (see below) choices are the sort of thing found in cafes all over. 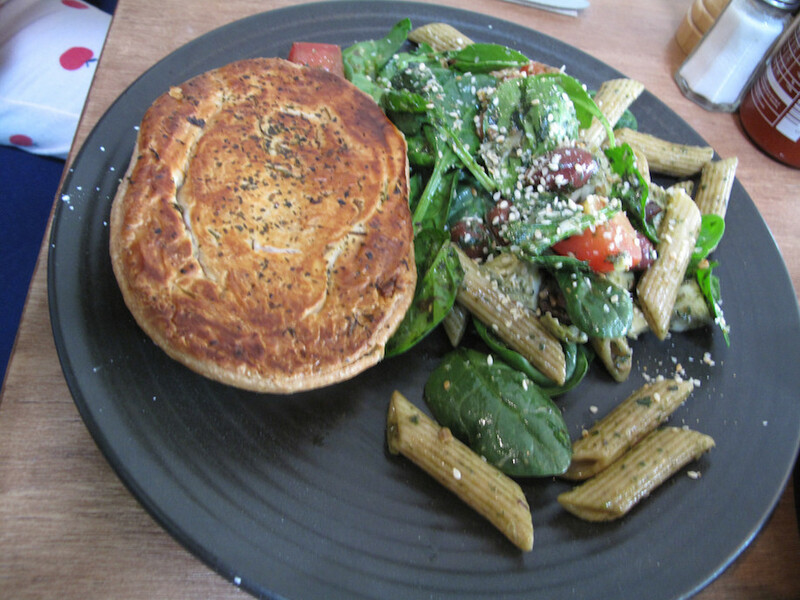 My friends chooses the Thai curry veg pie ($6). It is, of course, a Ka Pie – and it goes down a treat. She likes the pasta-pesto-spinach salad ($5), too. Though she is firmly of the opinion a sprinkling of crumbled feta would make it even better. 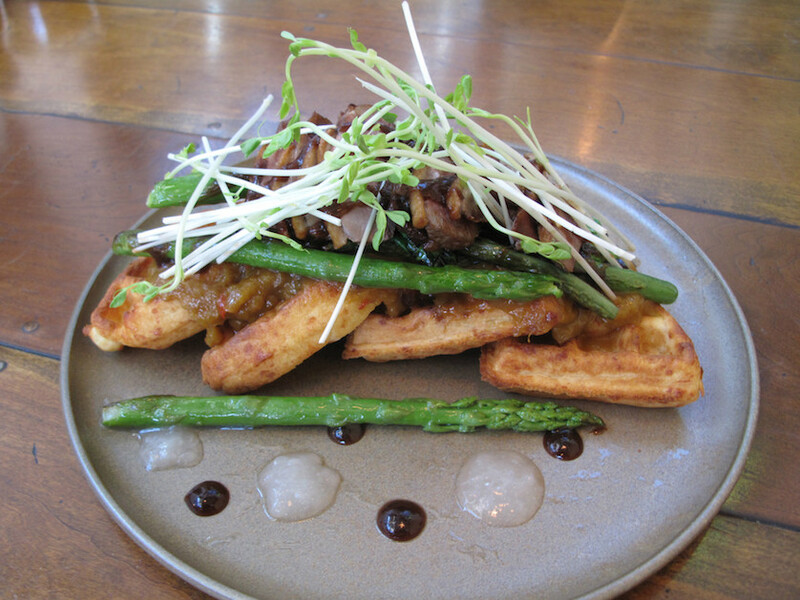 My waffle dish ($16) is good. 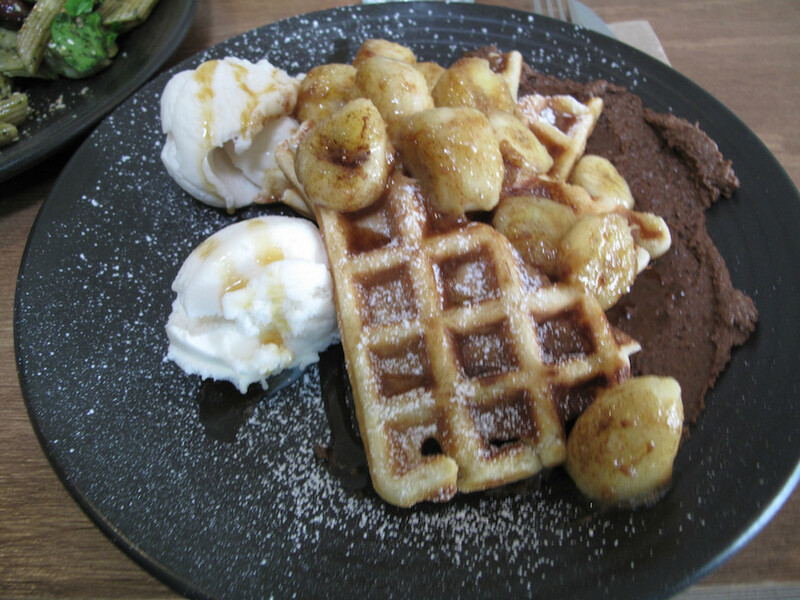 It comes with house-made nutella, maple syrup, caramelised banana and soy ice-cream. 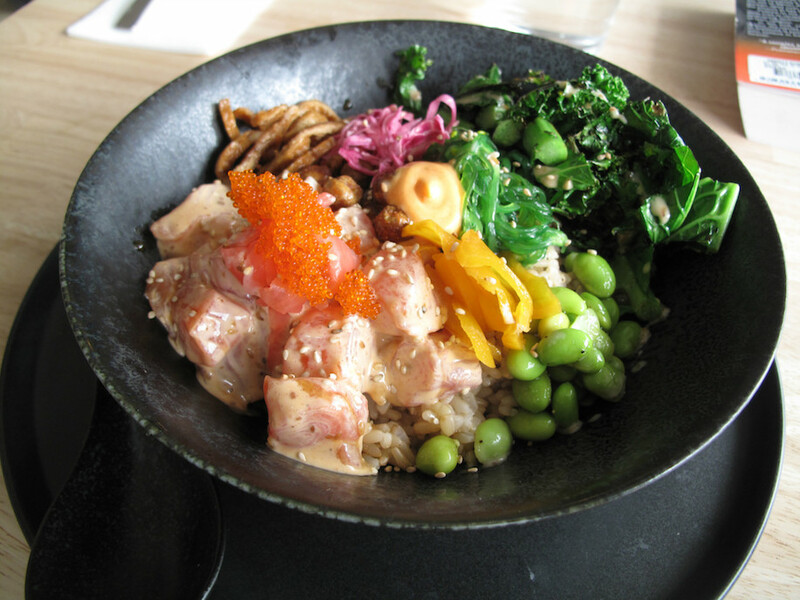 A most excellent soba noodle bowl ($16) – enjoyed on a previous, reconnaissance visit – rather more reflects One For The Crow’s vegan credentials. 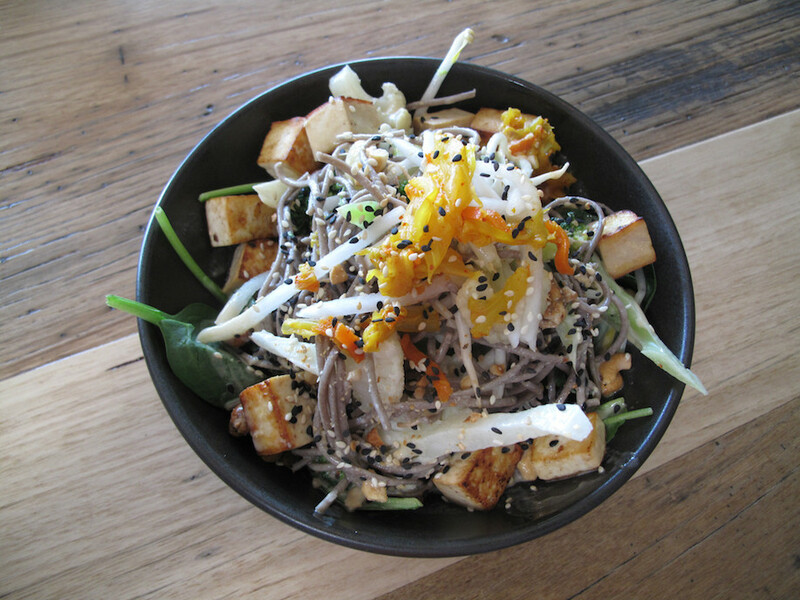 It’s packed with marinated tofu, broccoli, cauliflower, sprouts, spinach, pickled daikon and kimchi, and dressed with a tahini-miso concoction. 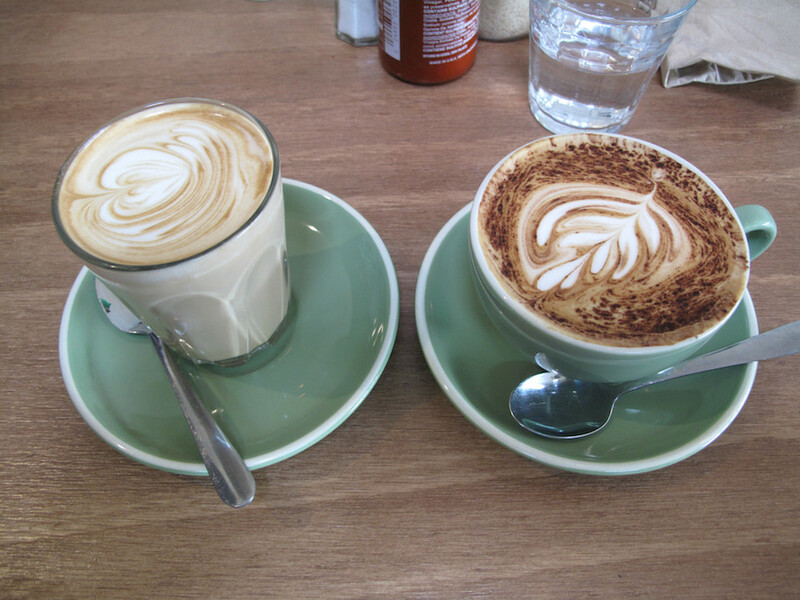 Our coffees are fine, too. 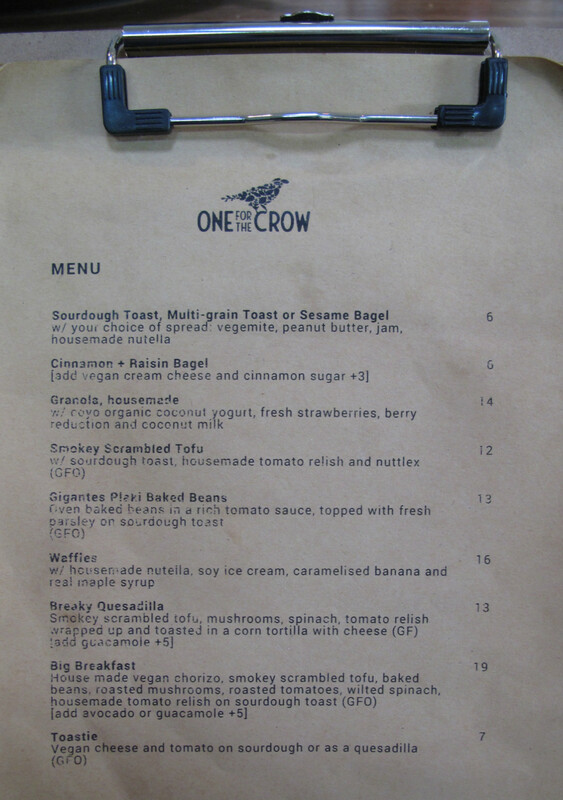 One For The Crow appears to have quickly made itself an indispensable and treasured part of its community. The locals have every reason to be stoked. 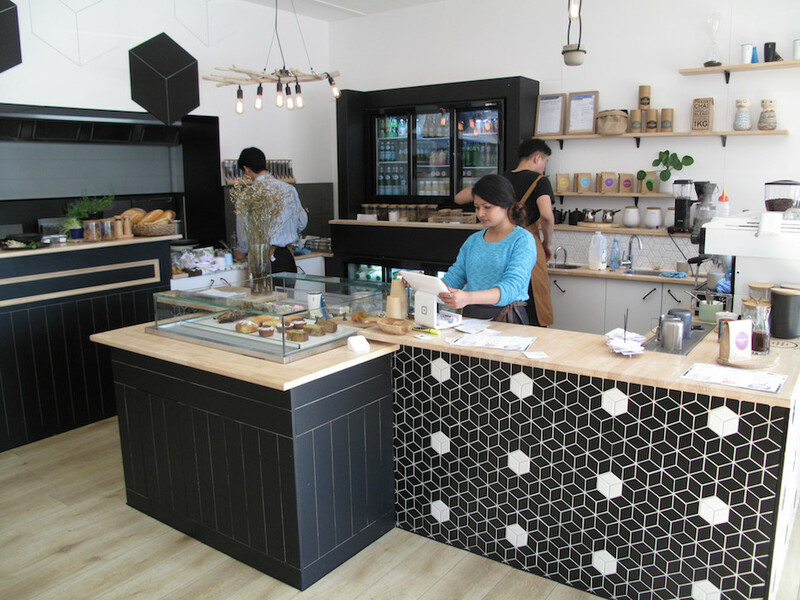 Be.K looks like the kind of cafe where you’ll get a good coffee and a decent breakfast. Those are available, but as we discover – on a Saturday lunch visit for Bennie’s birthday – there’s much more going on here. 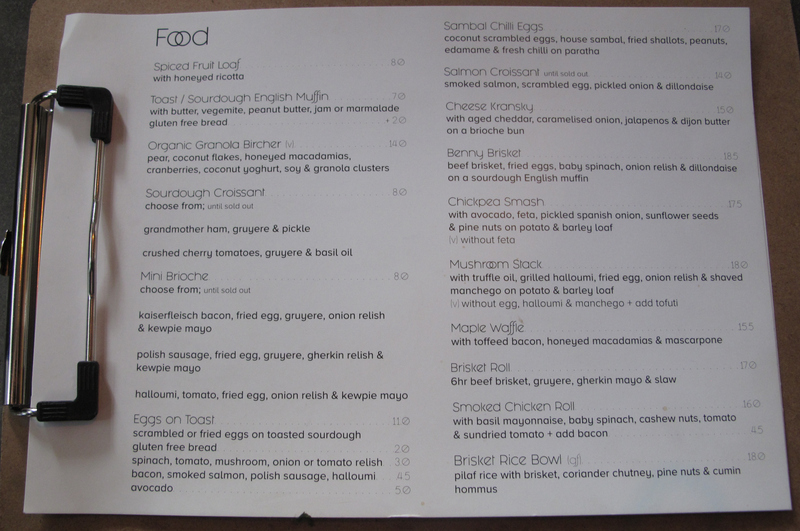 A glossy colour photo menu runs from ritzy breakfast dishes through to sangers, Korean fried chicken and on to luscious Asian desserts. 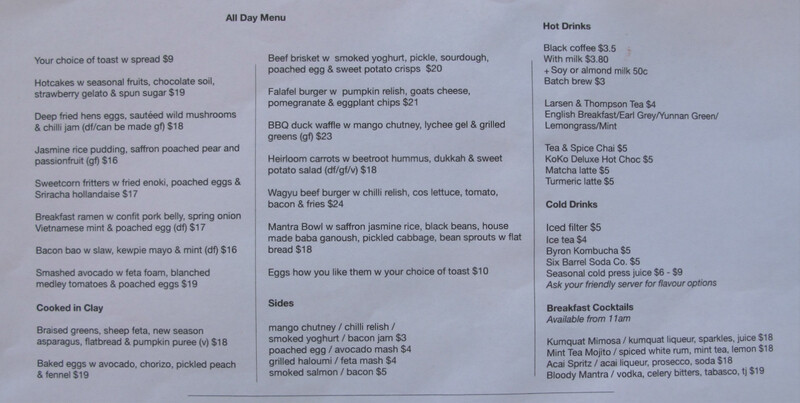 A simpler printed list has more breakfast items, a couple of burgers, ribs and tempura prawns. 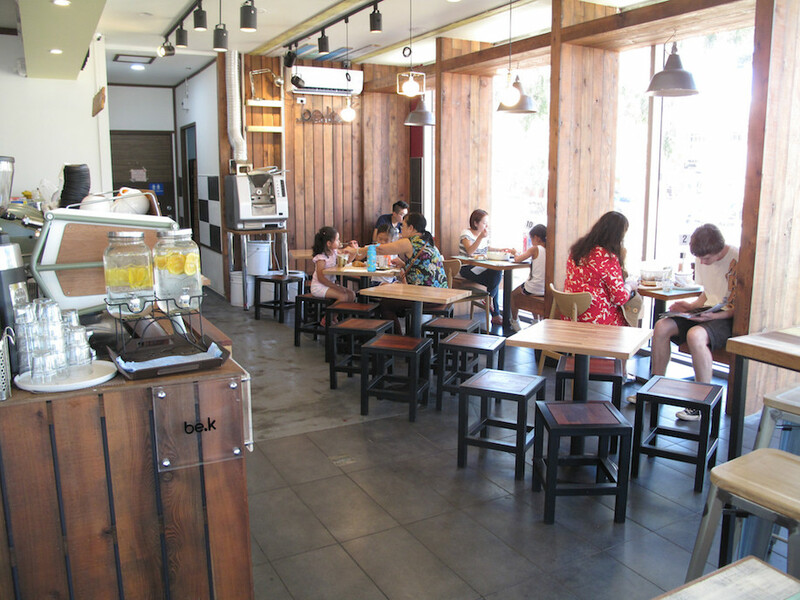 The place is done out in simple cafe style and business is quite brisk – especially on the outside tables. 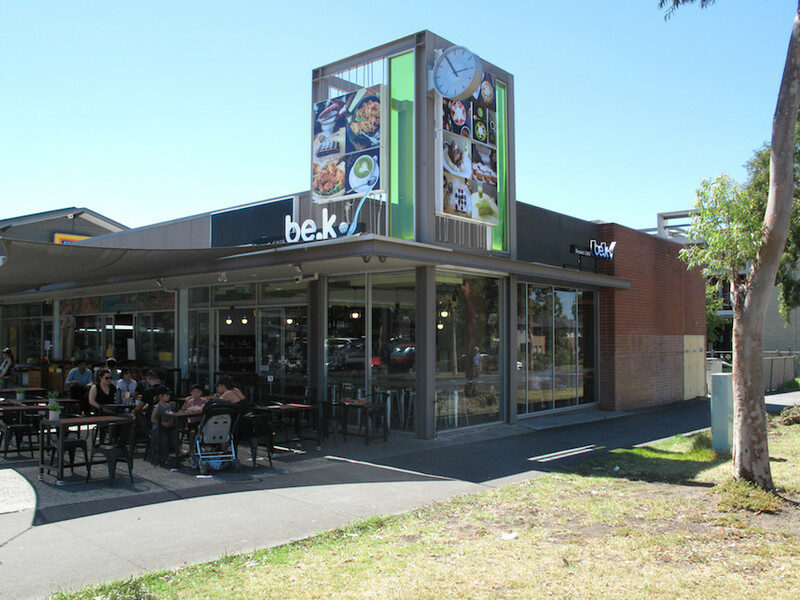 Notably, Be.K’s advertised opening hours are seven days a week – until 11.30pm. 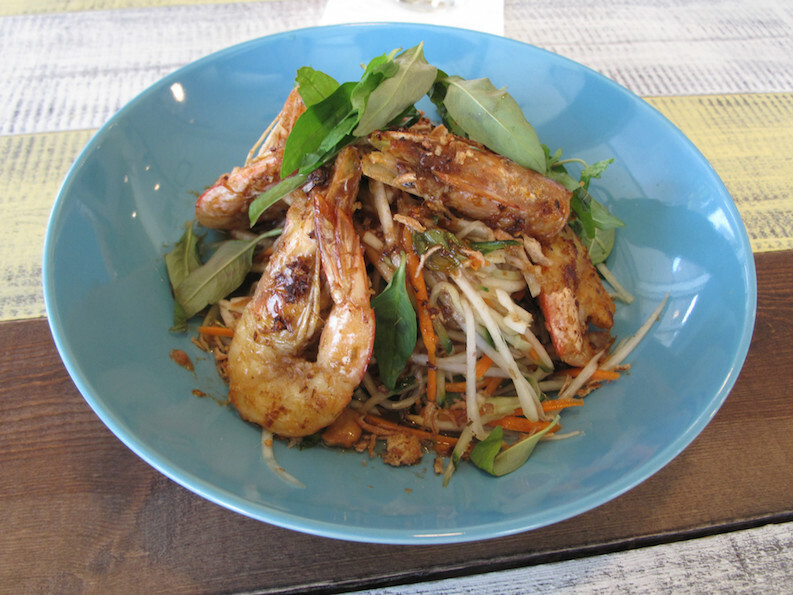 Papaya salad with prawns is pricey at $20.90, but the quality is there. The veg components are fresh and crunchy, the dressing tangy and the head-on prawns are a fresh-grilled delight. 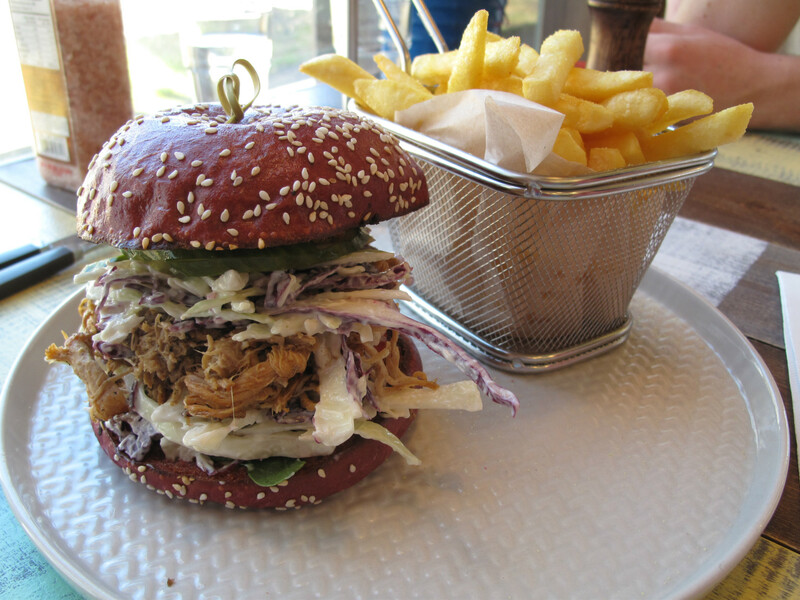 Bennie enjoys his pulled pork burger, with chips and costing $17.90. 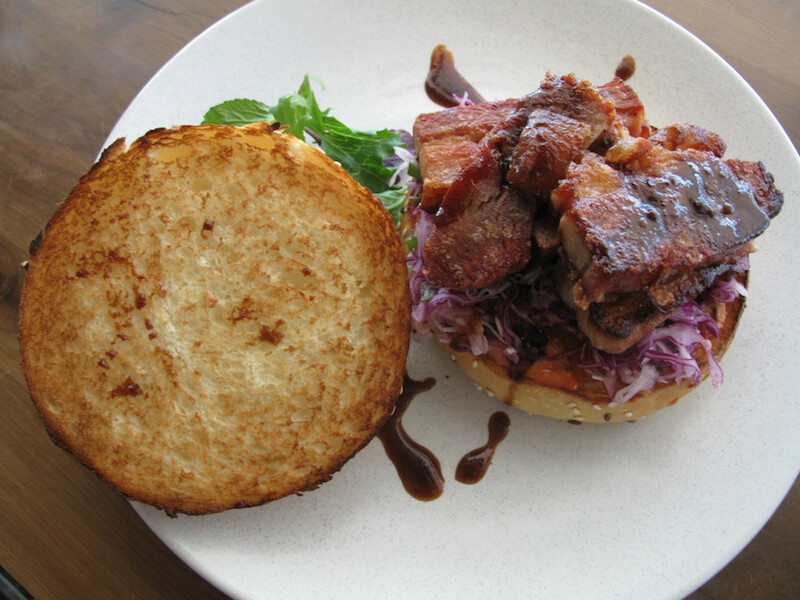 Served in a beetroot brioche bun, it’s generously stuffed with meat, slaw and pickled cucumber. I’m surprised to hear him adjudge it a rather modest good, as – going by my taste – it’s definitely among the better versions we’ve had. The chips are fine, but the chicken salt-style seasoning they’ve been daubed with is way too sweet for me. 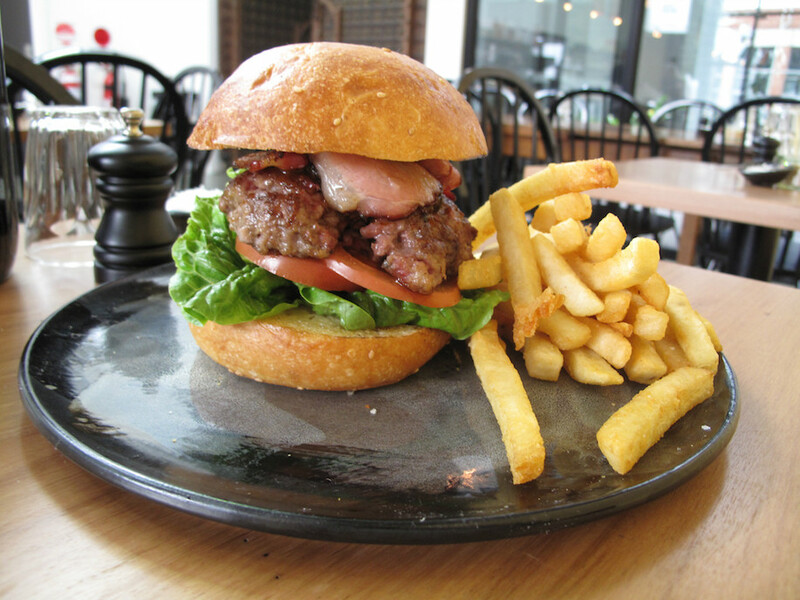 Deb’s sanger is described as “Philly cheese steak sandwich” ($13.90) – fans of that American classic would no doubt be bemused. But it work on its own terms, the thin-cut meat making it easy to eat and the onions and other veg, cut wok-style, are fine. 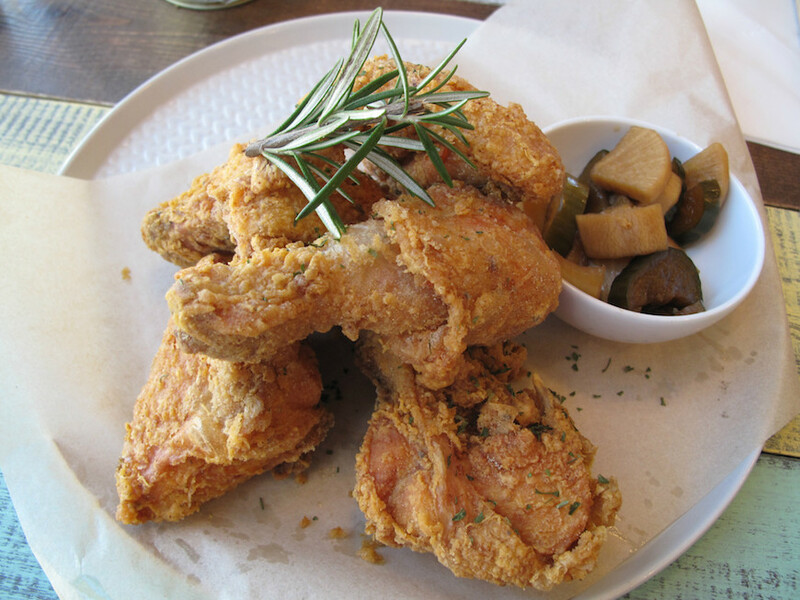 Of the four varieties of Korean fried chicken listed, we opt for the original. 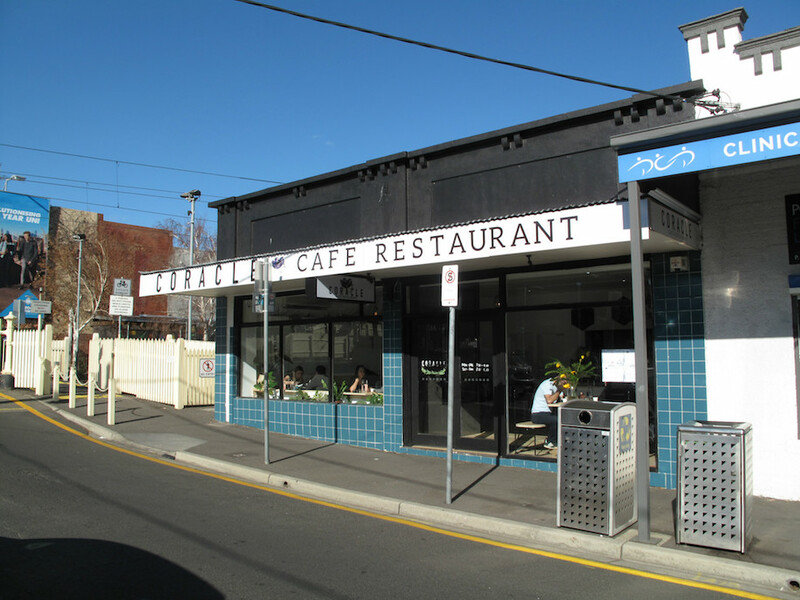 We get five pieces in our half-chook serve ($16.50). 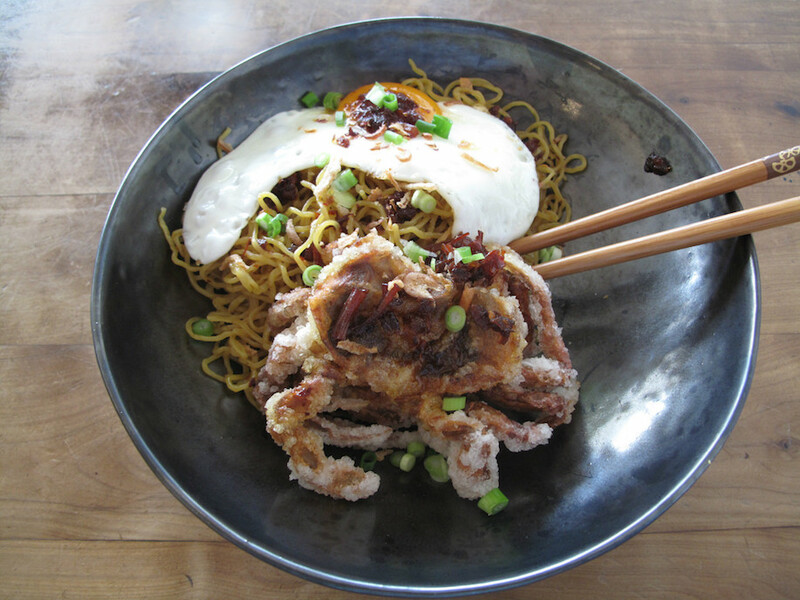 Oh boy, this is great stuff – simply terrific fried chicken, unoily, hot, perfectly cooked and moan-out-loud delicious. 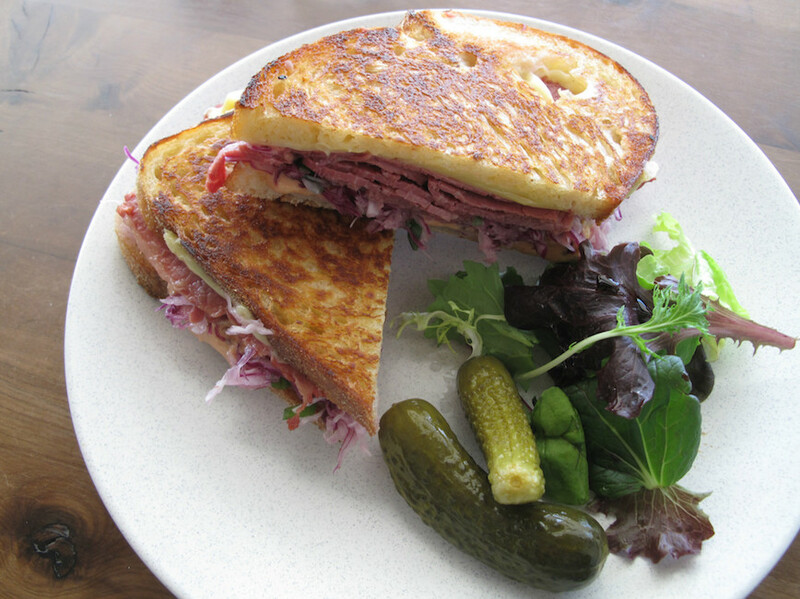 Just as good are the accompanying house-made pickles of onion, celery and more. 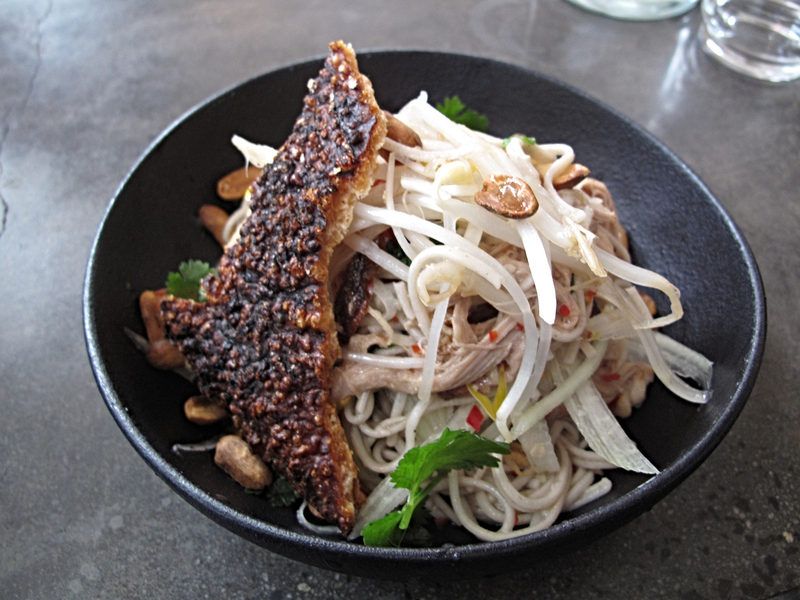 A little sweet, not too sour and a whole heap of crunchy – excellent! 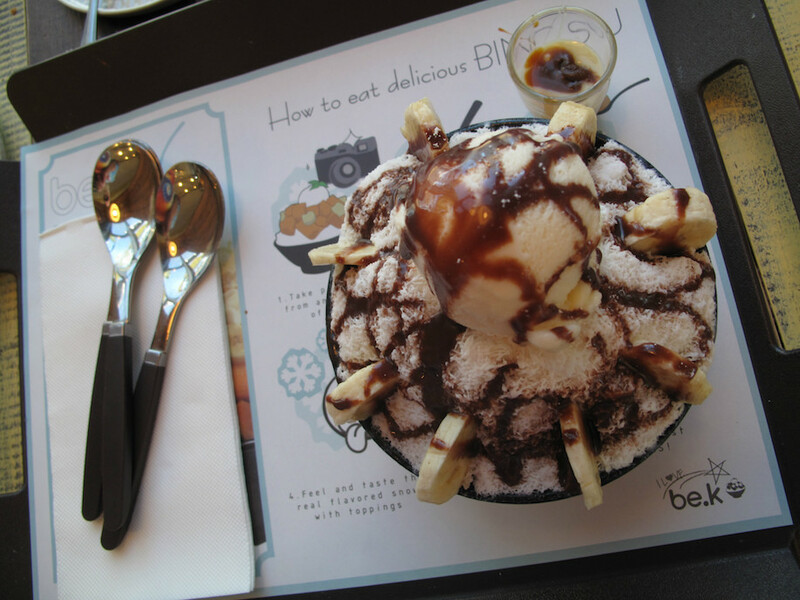 The birthday boy goes for it by ordering bingsu of the nutella banana variety. His is the $10.90 small rendition; there are medium and large versions available. He loves the refreshing base of shaved milk ice. 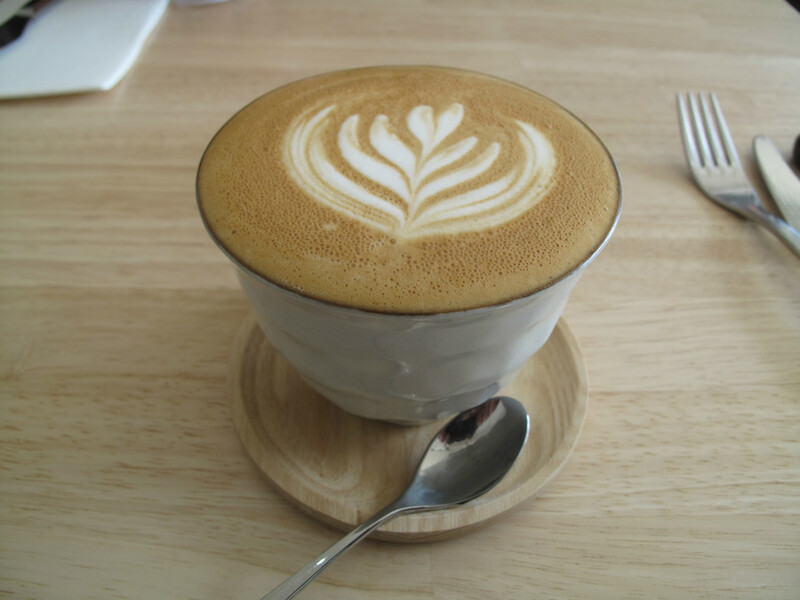 But, yes, he pours the side serve of condensed milk right over the top right from the get-go. 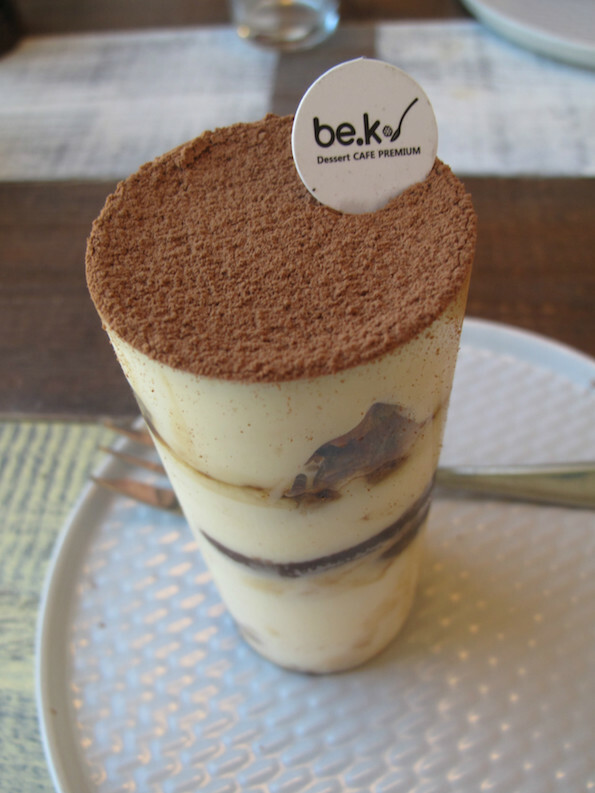 His dessert is the very epitome of richness restraint when compared with the Vietnamese coffee tiramisu ($8.90). 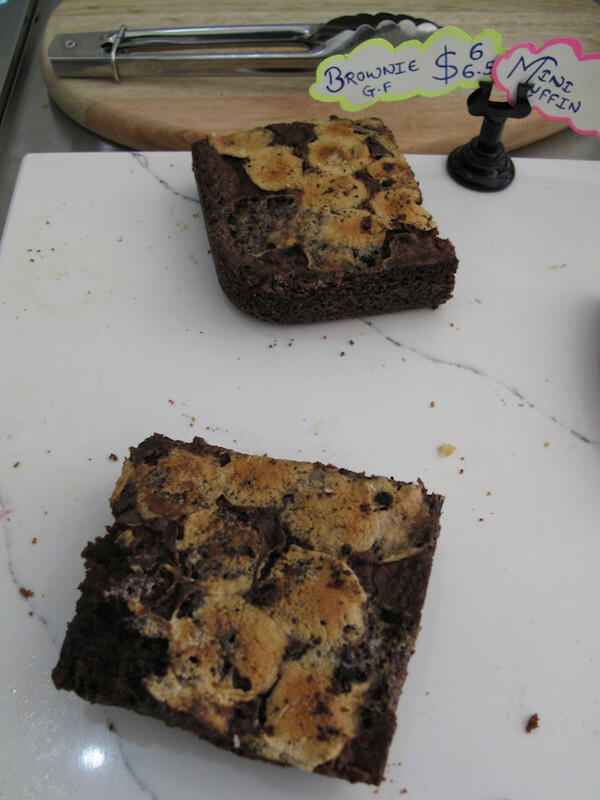 With its dark chocolate and crunchy granola (at first I thought it was pecans), this would puzzle tiramisu purists. 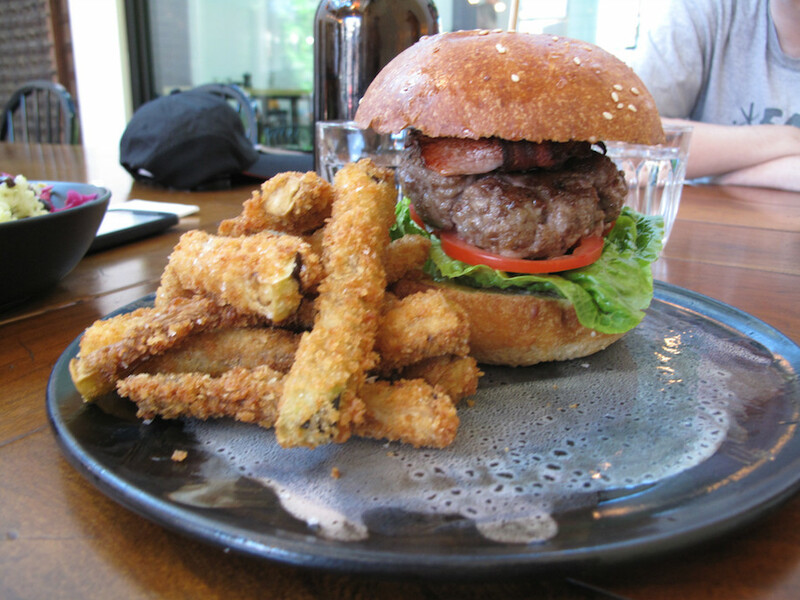 But we reckon it is sinfully, explosively awesome. We’ve had a fine time that has been in no way diminished by a certain degree of distraction in the service department. No fault in two of our initial choices being unavailable. If anything, that’s a good sign indicating brisk turnover – and it meant we end up ordering the fried chicken, and that turned out to be a very fine thing. 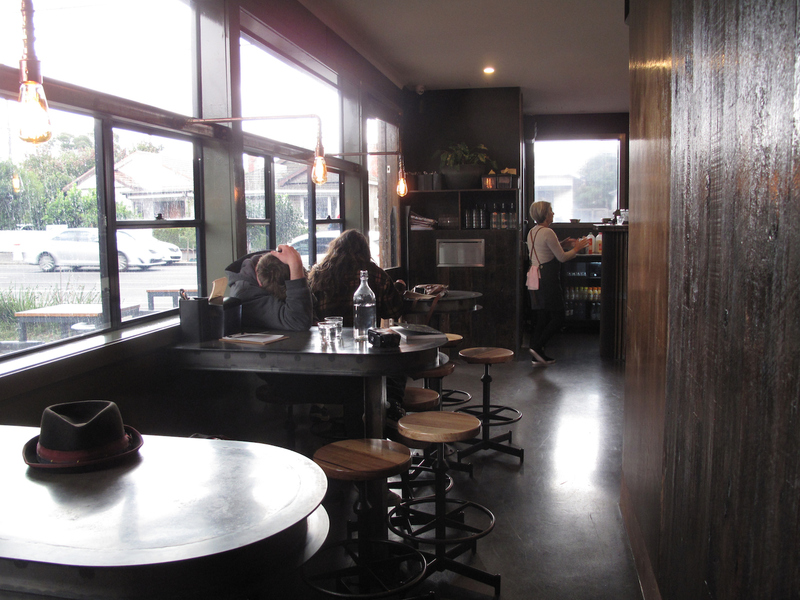 But my coffee is brought to a table covered – really covered – with chicken bones, empty receptacles and soiled serviettes. My sincere question about the precise nature of the vegetables used in the wonderful pickles is met with stony-faced recalcitrance. 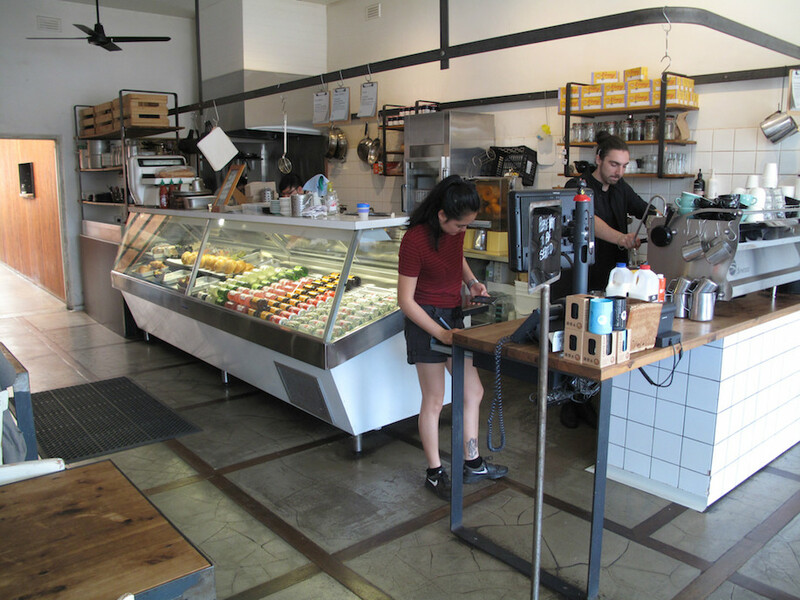 More broadly, despite there being what appears to be half a soccer team of staff scurrying around the place, we do find it difficult a few times to make eye contact or attract attention, even resorting to raised hands and waving arms before approaching the counter.